Gladwell describes three separate agents of change: the Law of the Few, the Stickiness Factor and the Power of Context. Each of these has extraordinary power to move the Tipping Point. In the Law of the Few, Gladwell shows how “Connectors” (those who are highly influential across communities) can literally drive the adoption of specific trends. Word of mouth epidemics are the work of connectors. 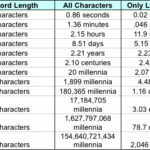 The Stickiness Factor overturns some of the commonly held concepts of communication. How to make messages “sticky” is important in a cluttered media environment. As the author describes, there is a simple way to package information, that under the right circumstances can make it irresistible. Epidemics are sensitive to the conditions and circumstances of the times and places in which they occur. This is the Power of Context. “This book should become required reading for marketing professionals. 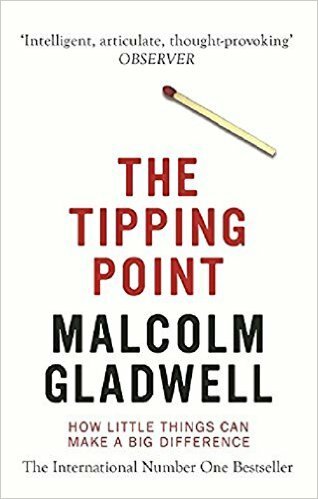 While an interesting read from a social studies perspective, The Tipping Point reveals how big-time marketing campaigns can be a lot less important than more creative word-of-mouth and viral marketing techniques.” – Excerpt from an Amazon review.